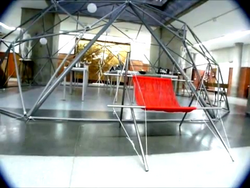 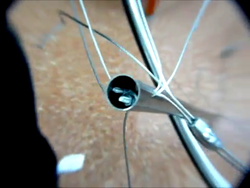 Read here about a tensegrity chair designed and deployed by architecture students. 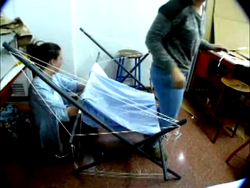 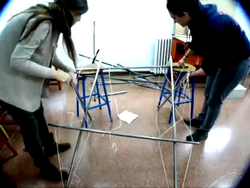 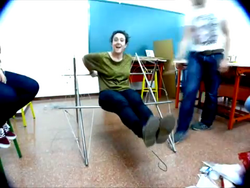 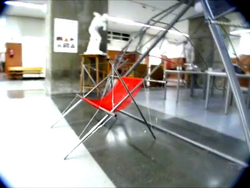 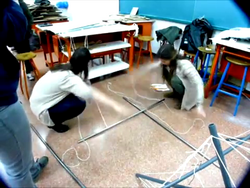 The students of ETSAV--Escuela Tecnica Superior de Arquitectura, Universidad de Valladolid--designed and deployed a Chair built on tensegrity principles. 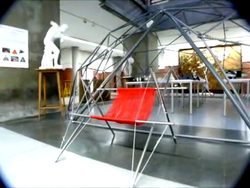 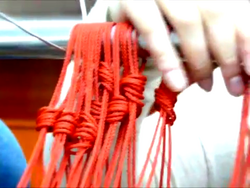 The chair is built on a 6 strut tensegrity, with a knotted rope hanging seat. 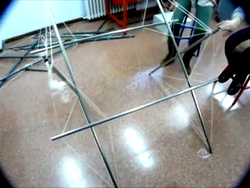 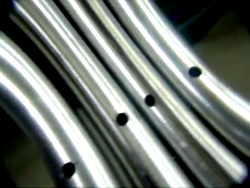 Students listed in the video include Alvaro Bueno, Julio "Manolo", Sergio Alonso, Alberto Diez, Mario Arranz, Ramon, Gamaliel Lopez. 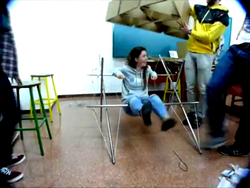 This page was last edited on 25 September 2018, at 09:29.